He is smart and sassy – she is chic and cute – they are Jay Bhanushali and Mahhi Vij. One of the most popular couples from the television world, Jay Bhanushali and Mahhi Vij are perfect partners. They are confident, good looking and much in love. What’s more, they have the most dramatic of love stories. A handsome Gujju boy meets a cute Punjabi girl and what follows is the chase to woo each other and get married before reaching the final line! But before you get into that, take a sneak peek on their personal front. 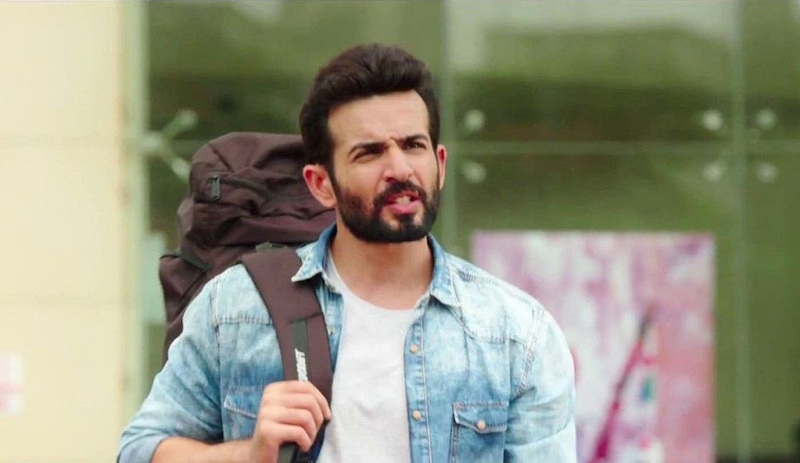 Though you may remember him as the witty host of the dance reality show, ‘Dance India Dance’ or as a winner of ‘Nach Baliye Season 5’, there is more to Jay Bhanushali’s career than that. Debuting in the TV series, ‘Dhoom Machao Dhoom’ in 2007, he received his big breakthrough with ‘Kayamath’. A gifted actor, Bhanushali’s goofy tricks and pranks, while anchoring several seasons of the dance reality show, ‘Dance India Dance’, earned him much limelight, and also won him numerous awards. In 2012, he along with his wife, Mahi Vij, participated and won the dance reality show, ‘Nach Baliye 5’. The duo also contested in the seventh season of reality show, ‘Fear Factor: Khatron Ke Khiladi’. Picking up from the highs of his television career, Bhanushali made an ever greater leap by making way into big screen with the film, ‘Hate Story 2’ in 2014. His last outing at the big screen has been opposite Sunny Leone in the 2015 flick, ‘Ek Paheli Leela’. 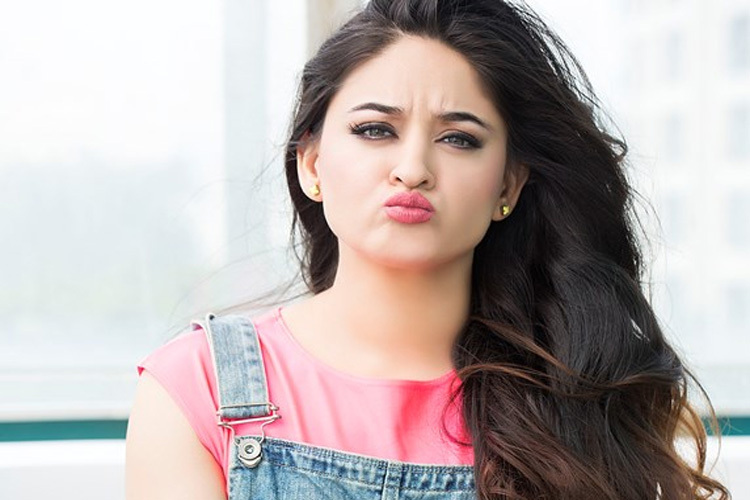 Chirpy, vibrant and cute, Mahhi Vij is all about that and much more! A cute Punjabi girl from Delhi, Mahhi knew that she was destined to be in front of camera and travelled all the way to Mumbai to explore her dreams. In her quest, she became a model and later turned into an actor on Indian television. The natural-green eyed beauty first gained limelight with the DJ Aqeel song, ‘Tu Tu Hai Wahi’. Since then, she hasn’t looked back and has featured in a number of videos and soap operas. Her biggest breakthrough came when she signed for the role of Nakusha for the television series, ‘Laagi Tujhse Lagan’ on Colors TV. She has also been the contestant of several TV reality shows such as ‘Jhalak Dihlaja Ja’, ‘Nach Baliye 5’—which she won with her husband Jay Bhanushali—and ‘Fear Factor 7’. Currently, she stars as Nandini Shekar in ‘Balika Vadhu’. Hailing from the same industry, it is quite natural that Jay Bhanushali and Mahhi Vij had common associations and friends. It was at a common’s friend’s card party that Jay Bhanushali first spotted Mahhi Vij. The green-eyed damsel’s quick as a flash appearance before making a hasty exit was enough to get things rolling. A year passed on and the two met yet again, this time at a club, again through a common friend. While Mahi thought of him as cool and funny, Jay was intrigued by the fact that unlike other girls, she wasn’t throwing him much attention. That’s where the adrenaline rush came on—to chase the girl and woo her. By the time the chase game ended, the two were madly in love. While Mahhi’s endearing manners and caring nature got Jay hooked on to her, Jay’s loyalty and incorrigible commitment swayed away Mahhi’s heart. The love birds dated each other for a year, before taking their wedding vows. The crazily-in-love couple, Jay Bhanushali and Mahhi Vij, finally sealed their love for lifetime with a secret wedding. They officially got hitched on November 11, 2011 amidst family members and close friends. The wedding was conducted in a typical Hindu style, with all the cultural rituals and traditions. Though there is not much information about the wedding details, here is an interesting anecdote that Jay confesses about. Being a Gujju, Jay recalls that alcohol in Gujarati weddings are a strict no-no. However, when he got married to his love interest, Mahhi Vij, the wedding venue reeked in alcohol, thanks to her Punjabi connection! There was alcohol flowing in every corner with the trademark Punjabi Patiala Peg in every hand, a fact that left his Gujarati family somewhat shocked and stunned. The couple today state that despite coming from different communities, they never had trouble bonding with each other’s family as they was no compulsion or pressure to follow traditional rituals and cultures. 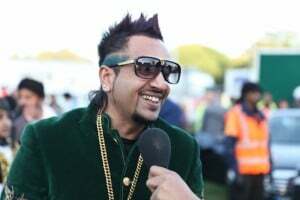 However, Jay admits that his lack of knowledge about Punjabi language does come in between while having a conversation with his in-laws! A Lot Of TV Stars Are Marrying These Days. 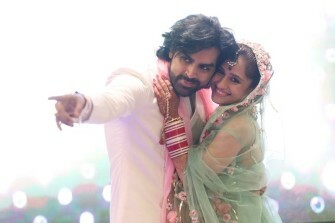 The Wedding of Hunar Hale And Mayank Gandhi Is One Such Instance. Crazy as they are in love, Jay and Mahhi re-did their wedding vows in a typical Christian style, while holidaying in Las Vegas. It was in impromptu decision. So, there were no plans, no preparations, no guests, no witnesses—just a church and a father to help in the marriage proceedings. While Mahhi sported a dreamy white ensemble, Jay looked dashing in a maroon suit. The couple took to Facebook to let their fans and well-wishers know of their crazy idea. They put out pictures from their white wedding on the social media site! 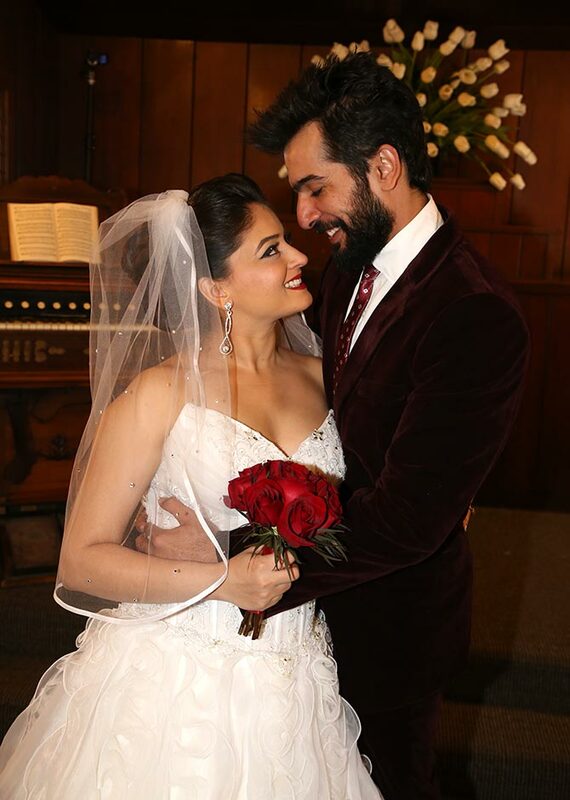 Everything looked more than perfect in Jay Bhanushali and Mahhi Vij’s married life— they loved each other way too dearly, and became the apple of each other’s eye. They participated as a couple in the dance reality show, ‘Nach Baliye’ Season 5 which they eventually won. But just as the saying goes, nothing lasts forever—the state of marital bliss soon came under the knife, thanks to the rumoured strife between the two while contesting the show ‘Fear Factor: Khatron ke Khiladi Season 7. It is said that Jay who captained his team on the show put his wife Mahhi in the elimination round. Furious as she was with that, his closeness to fellow contestant Parvathy Omanakuttan irked her further. Reportedly, the two got into an ugly spat in their room in Buenos Aires, Argentina while shooting KKK7. While the gossipmongers couldn’t stop yapping about the ‘troubled marriage’ and eventual ‘split’, the couple rubbished all rumours in style by sneaking some private time to be with each other in a yacht on Valentine’s Day. The couple shared a picture on their microblogging Twitter handle, where they were seen sharing a passionate kiss. The picture was a tight slap across the face of the tattlers, proving that the duo is madly in love with each other still. In June 2016, Jay took to his Twitter handle to proclaim his love for his wife yet again with his cute conversation with her. He wrote about how he missed her while shopping in Croatia.